Standard Brakes and Suspension barely handle the job. 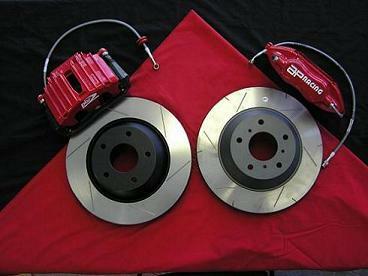 When you increase your performance you really should look at upgrading your Brakes and Supsension as well. Increased Braking capacity comes in handy when trying to avoid traffic accidents and especially if you are towing a trailer. Remember, it may be your life you are saving. 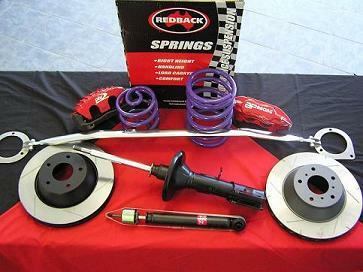 We can supply many brands such as: PBR, AP, Brembo, Harrop, Pedders, Redback, Whiteline, Bendix, EBC, DBA, Kings, Lovells.